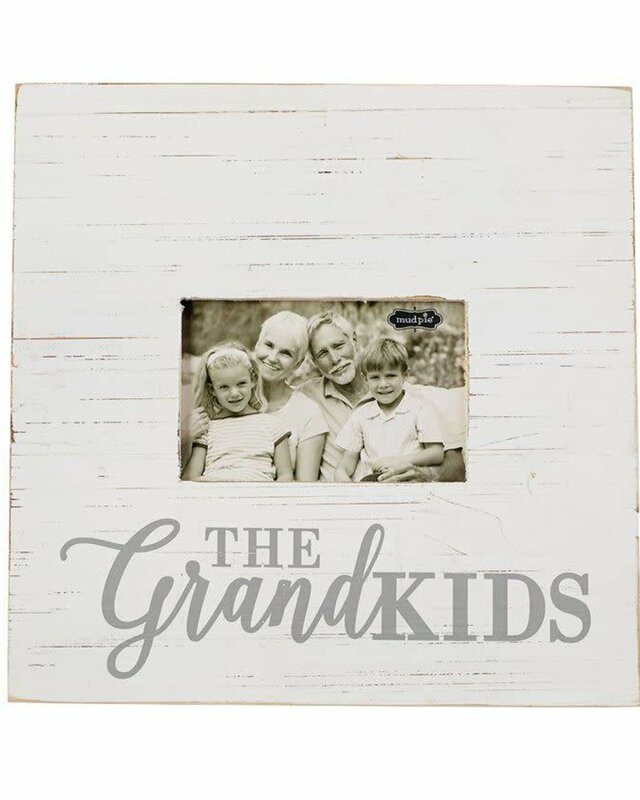 Painted wood frame features printed "THE GrandKIDS" sentiment. 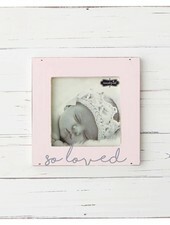 Holds 4" x 6" photo and hangs with sawtooth hardware or stands with dowel easel. 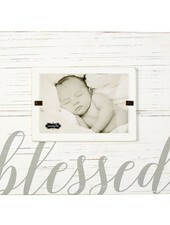 Painted pine wood frame features printed "blessed" scripted sentiment, beveled distressedaccent line and edges and holds 4" x 6" photo inserted from front. Hangs with sawtooth hardware. 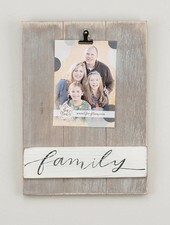 Display your favorite family photo in this beautiful neutral family frame. Comes ready to hang or display on a bookshelf. 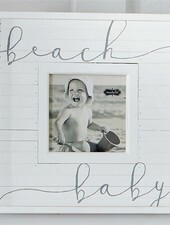 Holds a 5x7 picture. 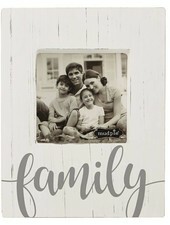 White-washed wooden block frame features printed "family" sentiment and holds 4 1/2" square photo inserted through back of frame. 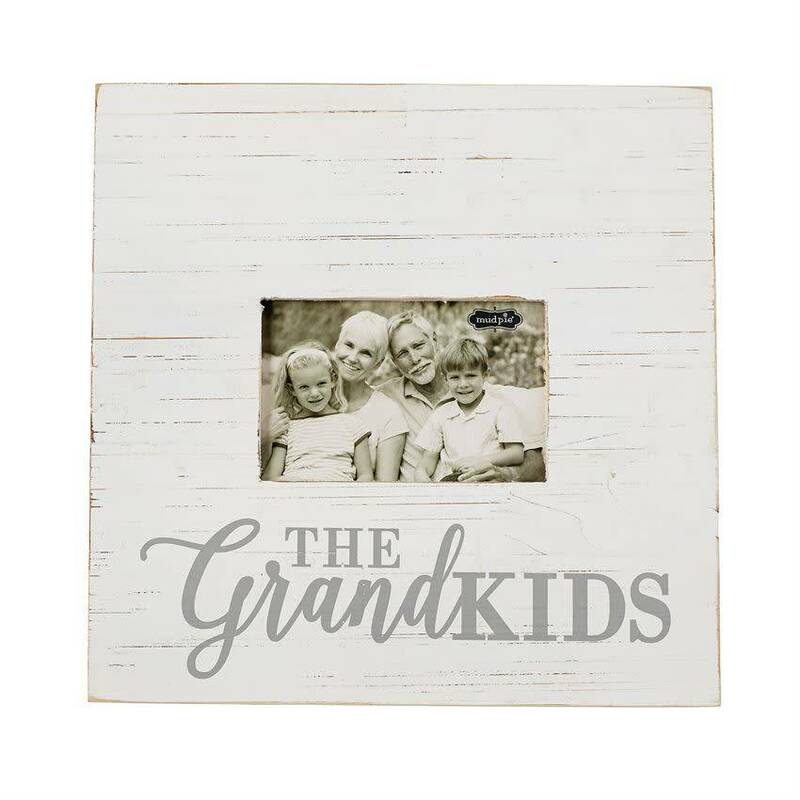 Gray-washed wooden block frame features printed "the kids" sentiment and holds 4" square photo inserted through back of frame. 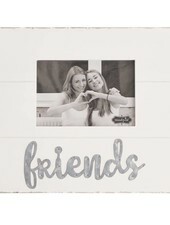 Distressed white-washed wooden frame features beveledaccent lines, galvanized tin "friends" sentiment and holds 4" x 6" photo inserted through back of frame. 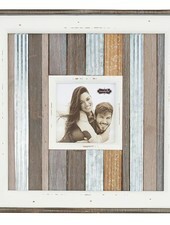 Distressed, planked variegated square frame with galvanized tin accents features raised white border, coordinating inset around photo opening & sawtooth hardware for hanging. 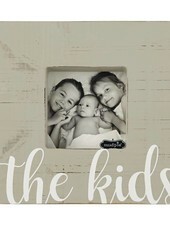 4" x 4" photo inserts through back of frame.